This entry was posted on October 14, 2010 by queenbcandles. 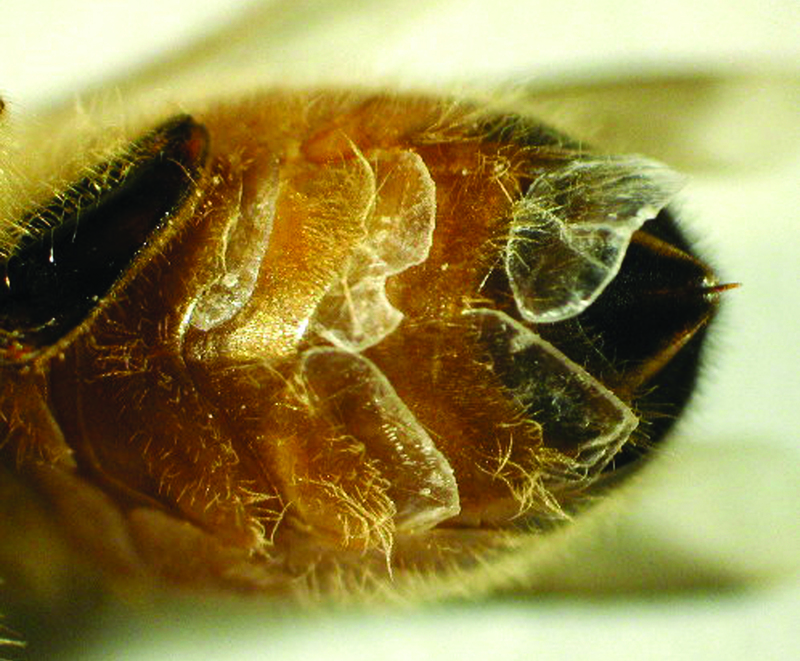 Beeswax is secreted from the wax glands on the abdomen of the female worker bees. When made, it is so white as to be almost translucent. So, first point to note, beeswax actually starts off white. 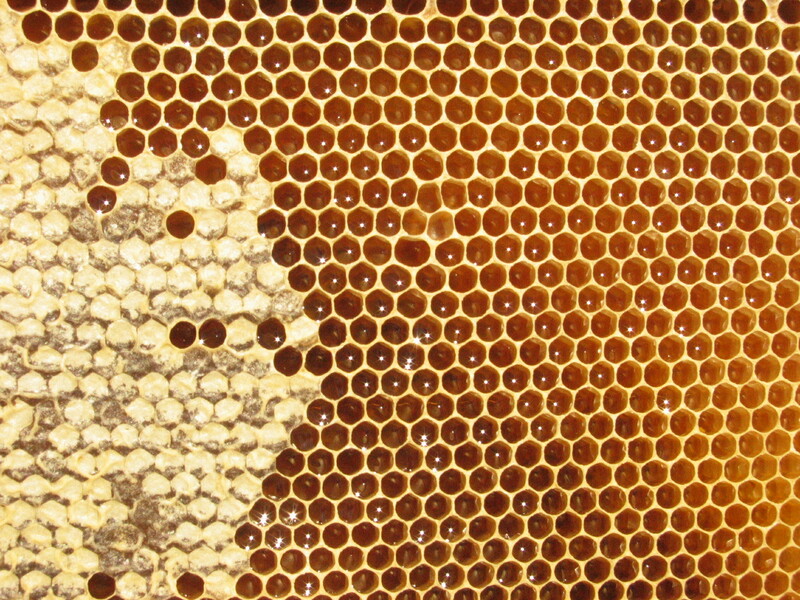 The worker bees use the beeswax to build honeycomb in which to store honey and bee pollen. This is where the various colours of wax arise. 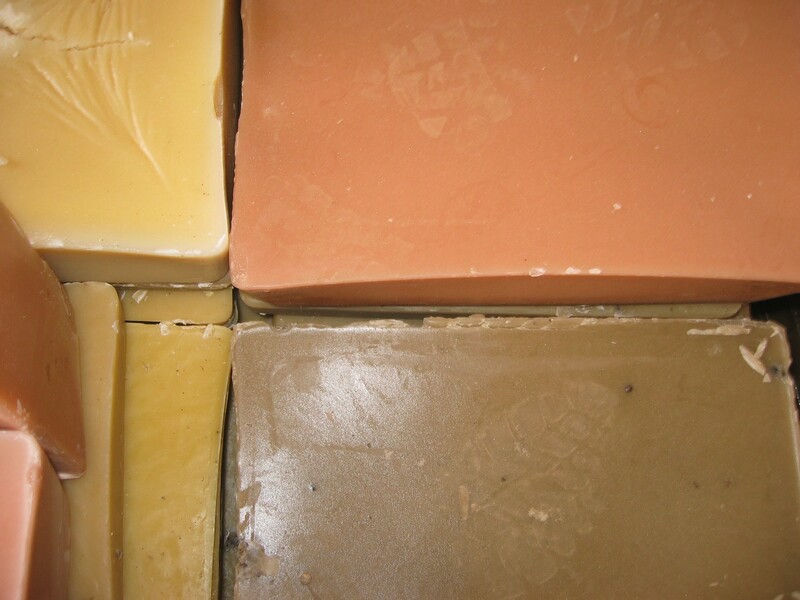 Natural beeswax can range from creamy white through to bright yellow (dandelion, flatweed, canola, wattle), orange (capeweed - it's a yellow daisy flower with a black centre), pink and even dark brown (melted down comb wax). Because different coloured beeswaxes burn differently, I had to make a decision with Queen B as to what 'colour' of beeswax we would use. [NB As far as I am aware, the fact that different coloured beeswaxes burn differently was not known previously. It was certainly not written anywhere, and has been news to every beekeeper I have ever spoken to. I consider our pursuit of perfection, and implementation of lessons learned, to be what makes a Queen B candle different]. Historically, creamy white beeswax was always reserved for the royalty and commanded a premium price. Indeed it still commands a higher price than darker waxes. So, if we were to produce the world's finest beeswax candles, then we required the world's finest beeswax. For this reason we only use Australian beeswax (it is free from the chemical residues of varroa treatments because Australian is the only country in the world without the varroa mite), we only use 'cappings' wax and we use creamy white beeswax (because it is untainted by pollen and other foreign substances, is not overheated, burns beautifully... and quite frankly, because it is indeed fit for the 'queen' in each of us - yes, boys, that includes you too). It is, however, not just as simple of buying creamy, white beeswax on the open market. When I decided to do Queen B 'seriously', I studied beekeeping so that I could speak their language. We now buy from 4 beekeepers and I know each of them personally. I also play a relatively active role in the industry volunteering each year on the Honey Stand at the Royal Easter Show. And when I needed a 'new' car, I bought a ute so that I could go and pick up our beeswax... (and secretly because I also love driving a ute)! We also have our own proprietary method of cleaning beeswax further inhouse - using just water, time and filtration - to remove the dust ever-present in hives sitting in our native eucalypt forests. We clean our wax twice in a process taking 48 hours. 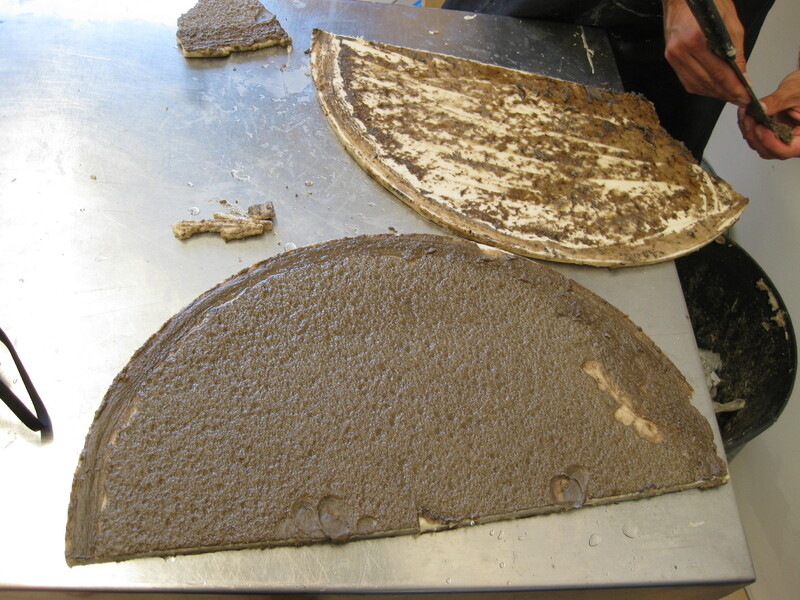 The photograph below shows how much dust we manage to extract from wax considered 'clean'. It is fairly safe to assume that unless a company is using chemically bleached beeswax, that their candles would be made with beeswax still containing this dust. Whilst I think each of our beekeepers probably considers me a little eccentric (! ), I don't think any of them would question whether I know my stuff when it comes to beeswax. We have specific parameters in which they work in harvesting and cleaning our beeswax (temperature, no chemicals, time to settle etc), and we have specific honey flows from which we purchase all their wax. I could go on for hours... but I won't! There endeth the lesson. I hope you enjoyed it. This entry was posted in Beeswax Candles & Candle Making on October 14, 2010 by queenbcandles. Very interesting lesson on your QueenB beeswax, and I love that you are so fussy when it comes to the cleaning the wax for your candles. This is why they are so special, and that I an allergy sufferer can use them. Cate, what a fabulous insight. Thanks for taking the time to share this with us. Well Cate I can honestly say I think you've total laid this question. And thank you - I have learnt something today! Your candles really are special!